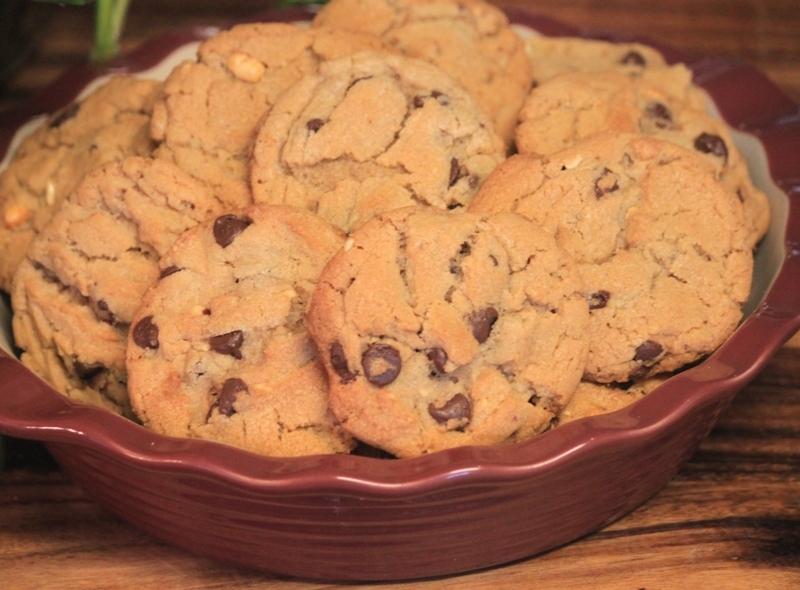 Chocolate Chip Peanut Butter Cookies | Rosetta Bakes! Cream butter, shortening, peanut butter, granulated sugar, brown sugar and egg until well blended, add vanilla. Stir together (or sift) flour, soda, baking powder and salt, add to creamed butter mixture. Stir in chocolate chips. Drop by rounded teaspoons on an ungreased cookie sheet. Remove to wire rack and cool completely.